Ready…Set…Preheat! 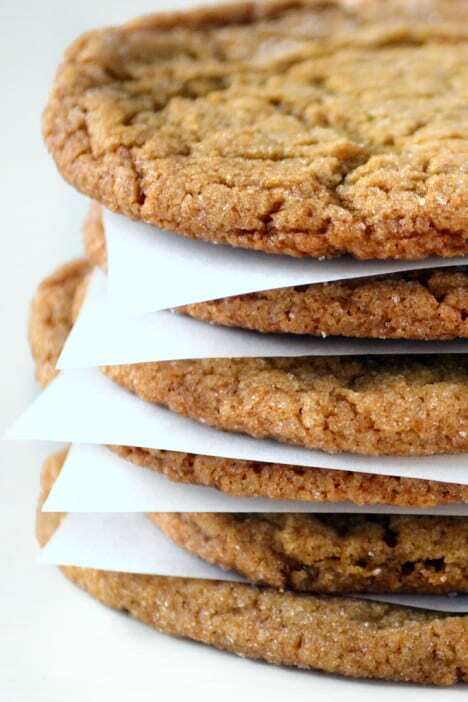 Here are the 30 BEST Freezable Cookies to get you set for the holidays in advance, yoohoo! 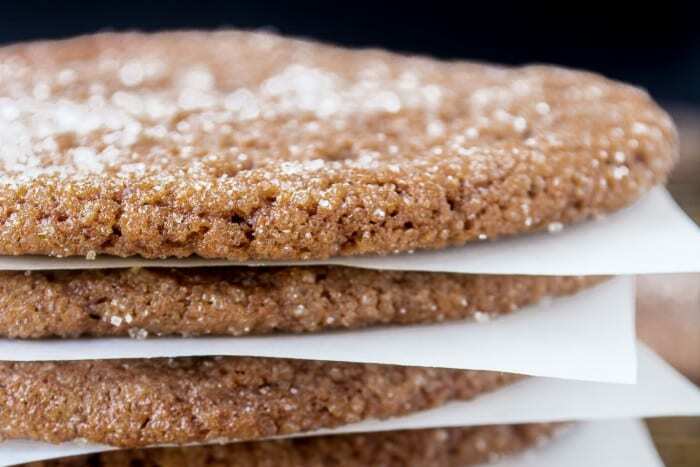 These cookies are freezable, packable, giftable, and most importantly ~ IRRESISTIBLE! 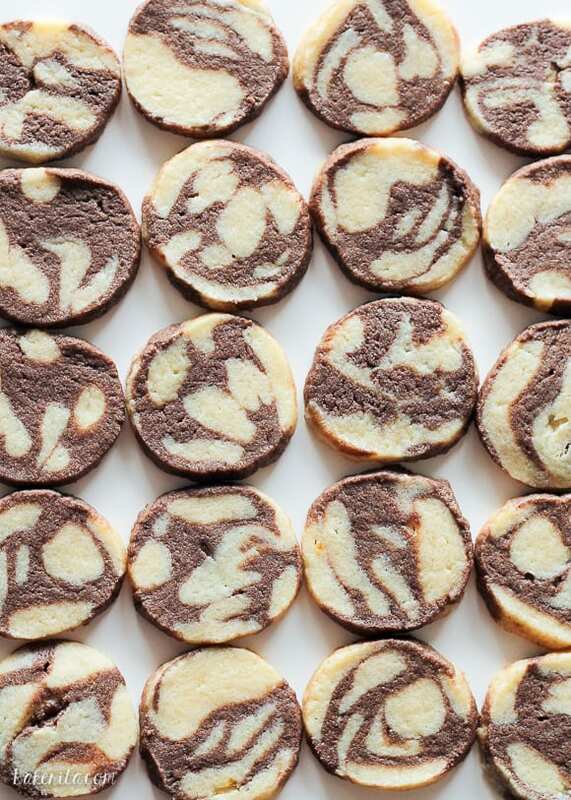 Chocolate and Vanilla Swirl Ice Box Cookies ~ freeze the log of dough itself, OR freeze the individual baked cookies. Spritz Cookies ~ this classic buttery almond holiday cookie is so festive, and freezes beautifully! 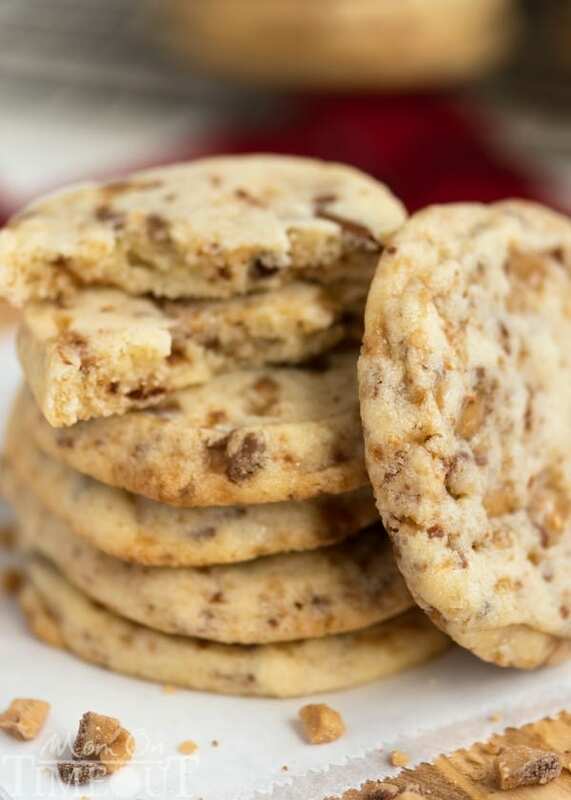 Toffee Butter Ice Box Cookies ~ six ingredient slice and bake cookies that love the freezer! 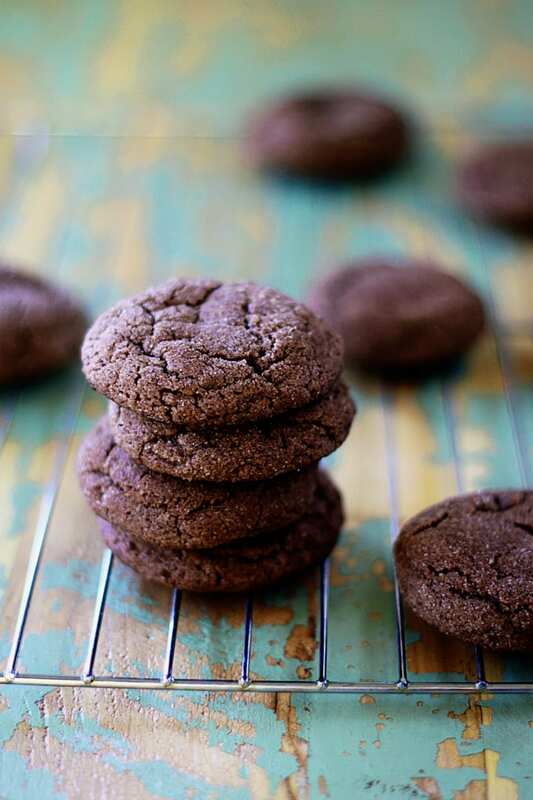 Chewy Ginger Cookies ~ the molasses in these cookies helps them keep their chewy texture even after freezing. 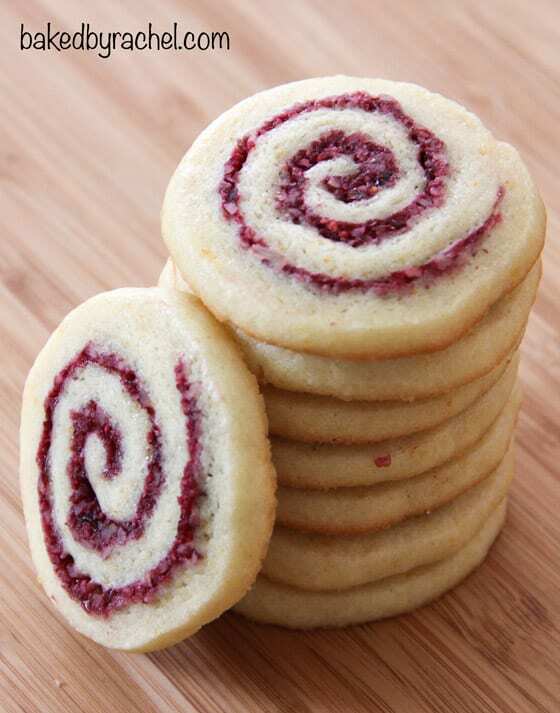 Cranberry Orange Pinwheels require a little bit more effort than some cookies, so them ahead when you have the time and freeze them! Sparkly Chocolate Snickerdoodles ~ these glittering cookies are made to stack perfectly in a Mason jar for easy giving. 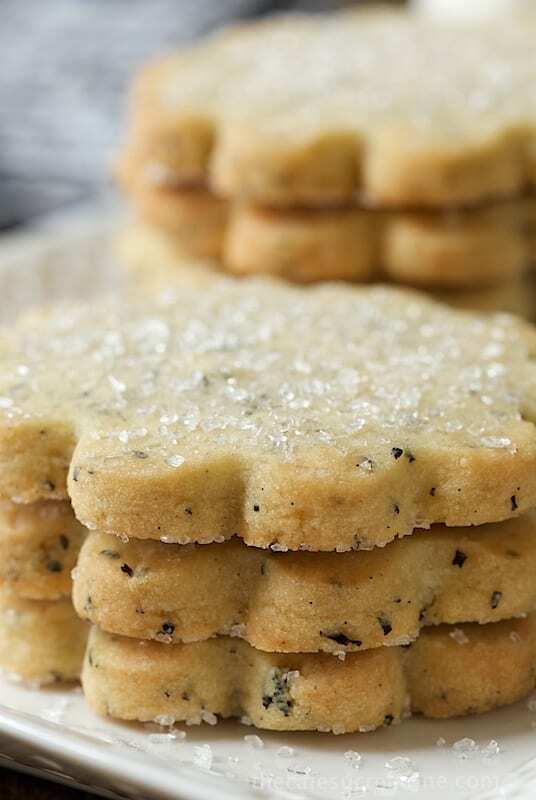 London Fog Vanilla Bean Shortbread Cookies ~ a cute flower shaped cookie cutter and an interesting Earl Grey tea infused flavor makes these sturdy shortbread cookies special. 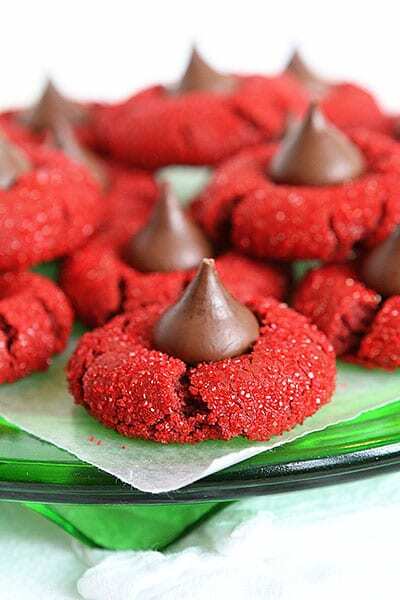 Red Velvet Peanut Butter Blossoms ~ every holiday cookie assortment needs a pop of bright red! 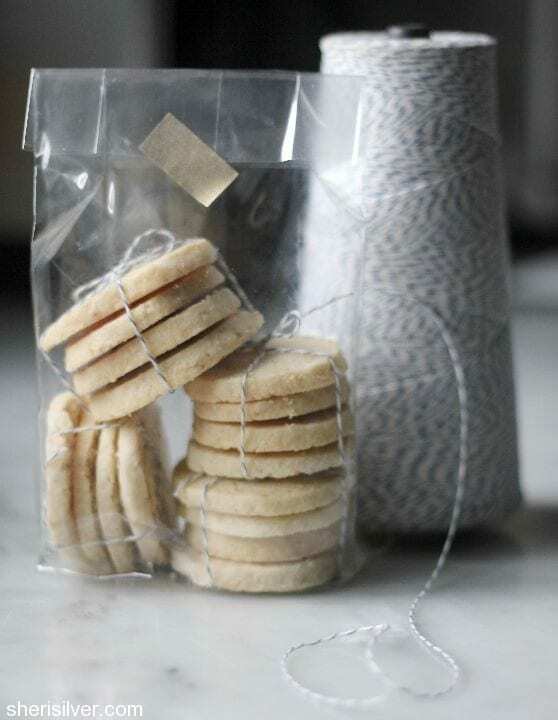 Rum Refrigerator Cookies ~ this vintage recipe is flavored with rum, cardamom, and citrus. 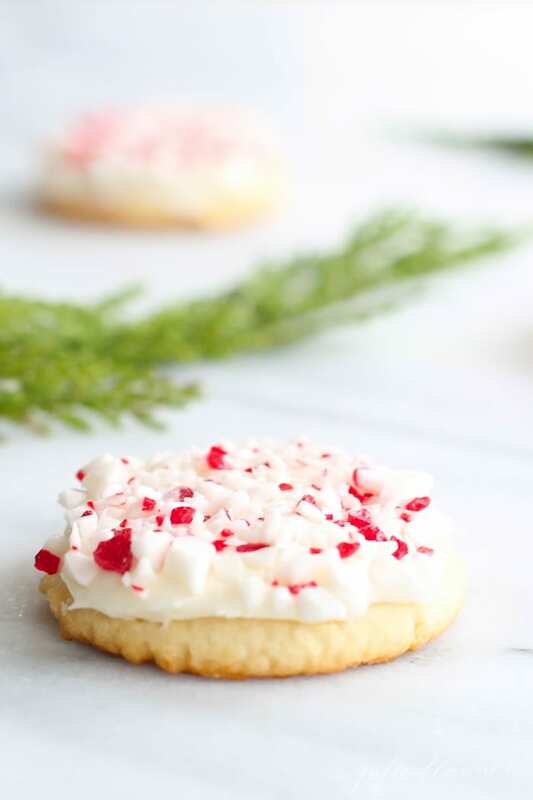 Peppermint Drops ~ be sure to wrap and freeze your peppermint cookies separately or the flavor can migrate to your other cookies. 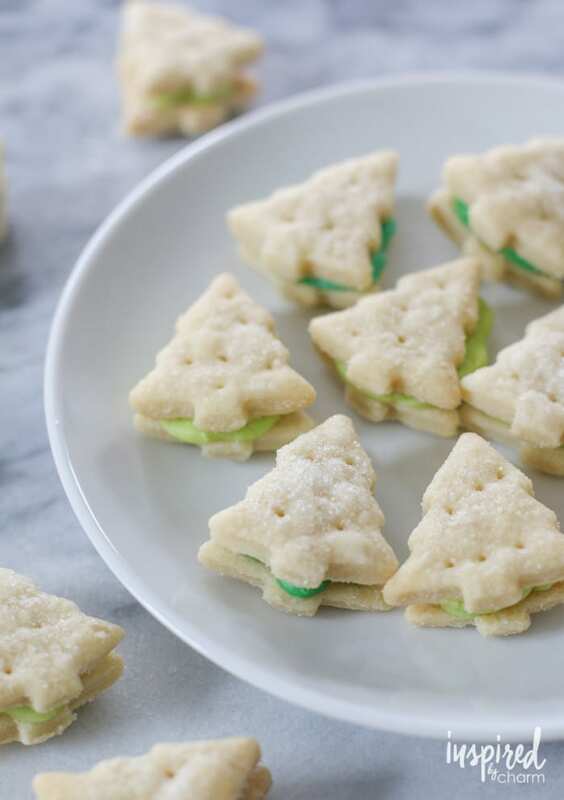 Cream Wafer Tree Cookies ~ I suggest freezing the tree shapes and then filling after they’ve defrosted. 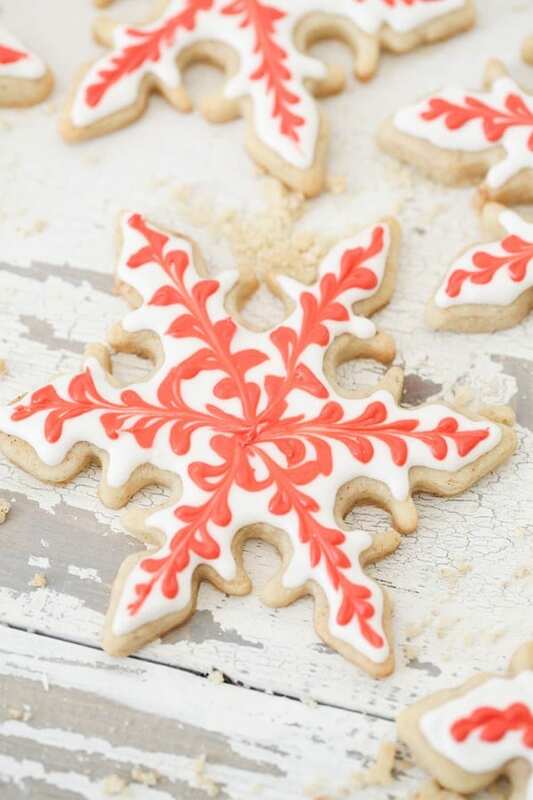 Gingerbread Snowflake Cookies ~ gingerbread and royal icing freeze well, if you’re up for a little more effort. 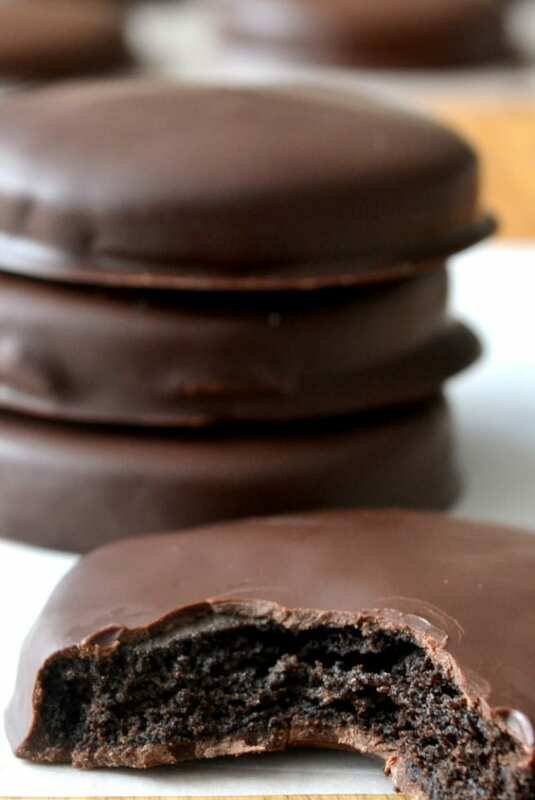 Homemade Thin Mints were made for freezing, in fact, you don’t even have to defrost them before enjoying! 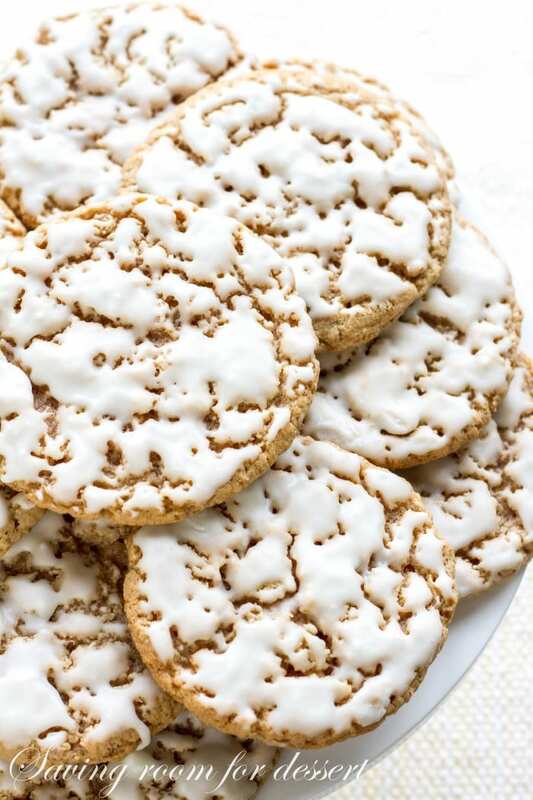 Old Fashioned Iced Oatmeal Cookies ~ the icing looks like new fallen snow on these gorgeous cookies! 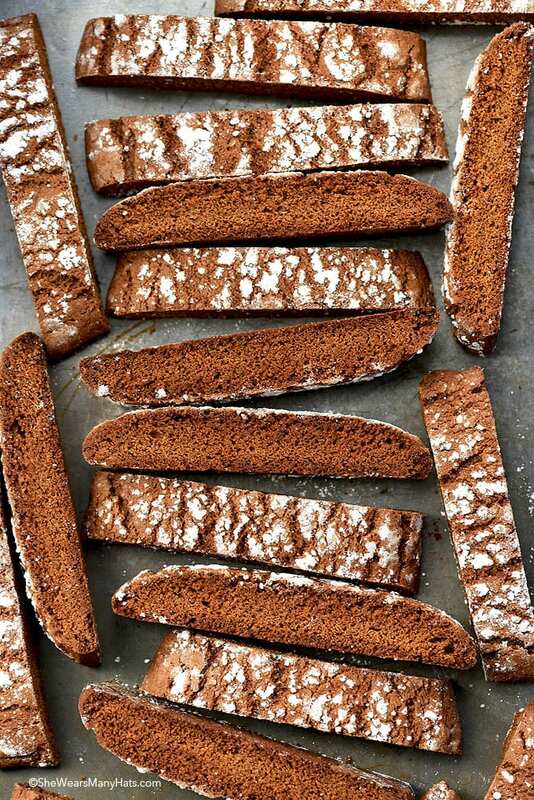 Gingerbread Biscotti ~ people are going to demand this year after year! 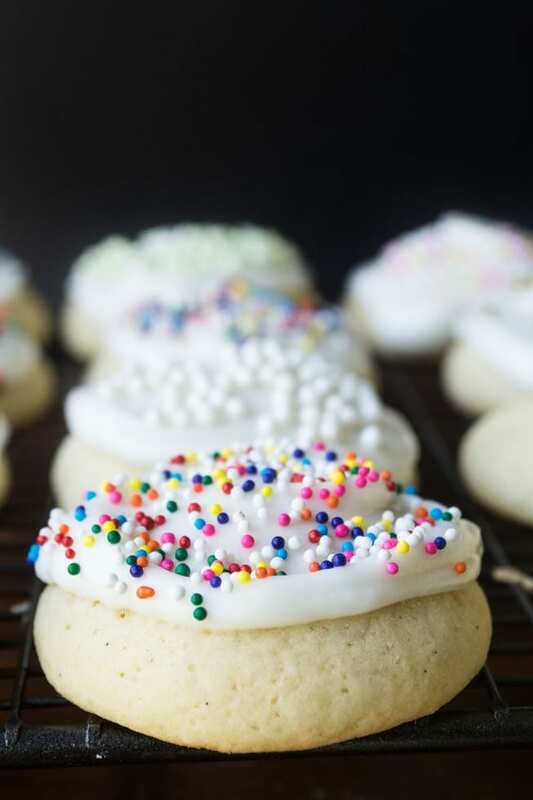 These frosted Italian Cookies should be frozen solid in a single layer first and then carefully stacked in a freezer container with waxed paper between the layers to protect the frosting and sprinkles. Better yet, freeze the plain cookies and frost later. 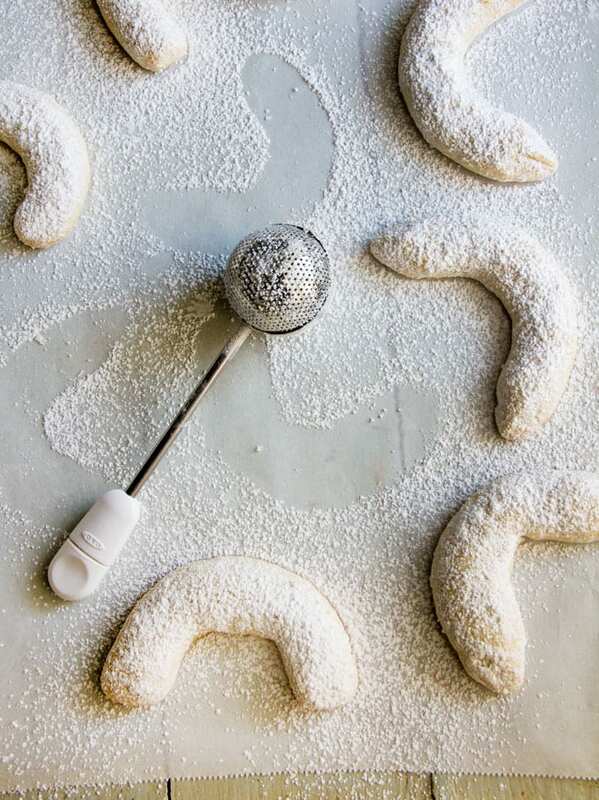 Melt in your mouth Almond Crescent Cookies are a staple of the holidays, leave off the sugar coating before freezing, and dust them after they have defrosted. 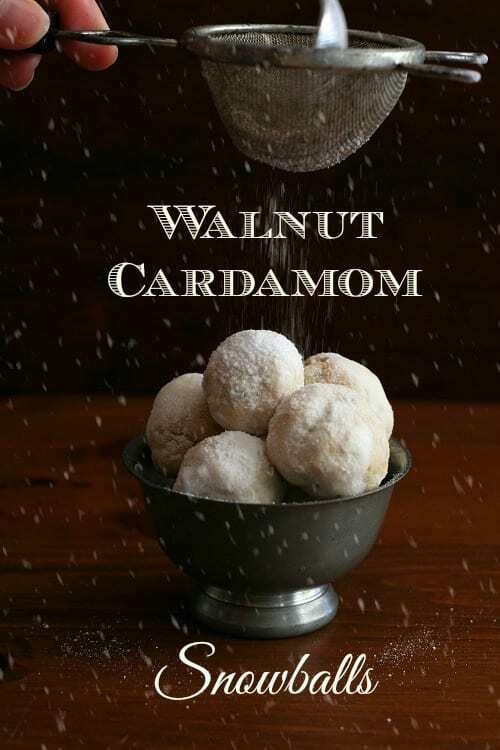 These low carb Walnut Cardamom Snowballs can be re-dusted with a fresh coat of powdered sweetener after they defrost. 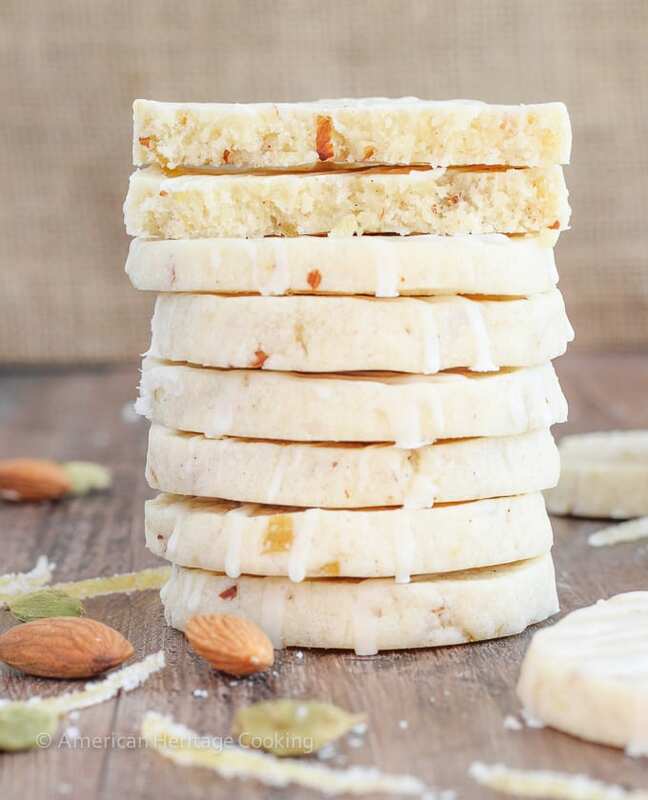 Toasted Coconut and Lime Shortbread ~ I love this unusual flavor combo! 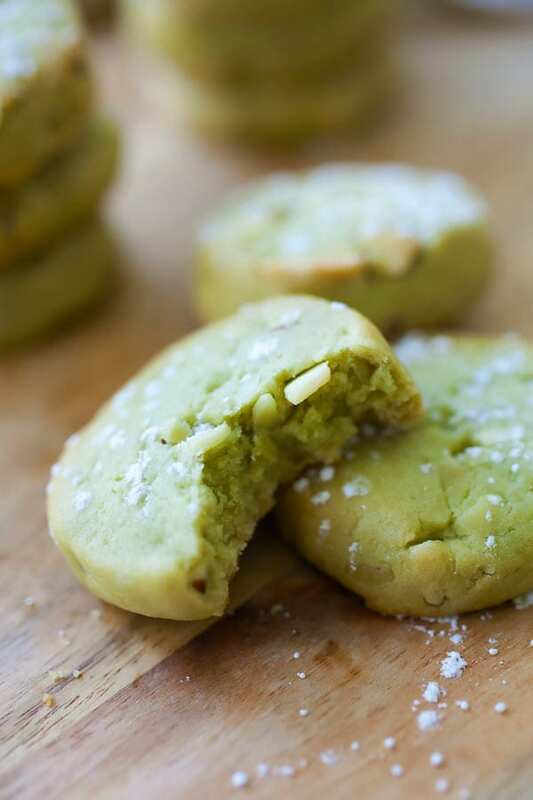 Matcha Almond Cookies ~ these unique cookies will bring something new to your traditional cookie assortment. 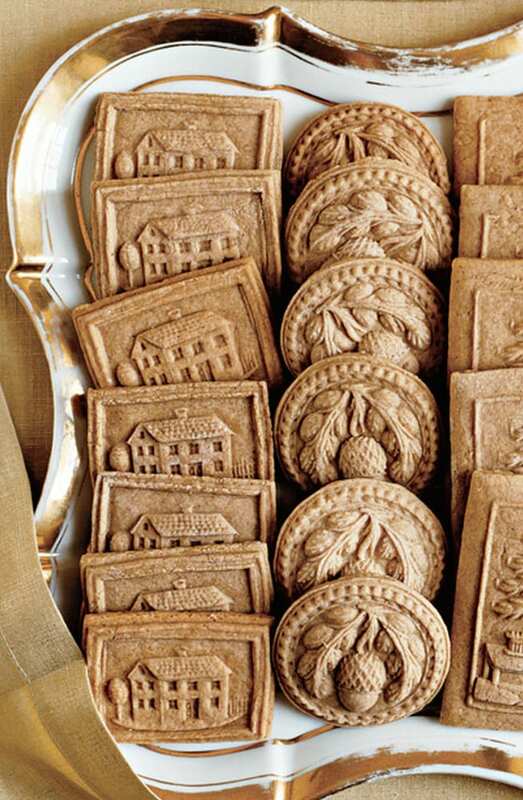 Dutch Speculaas Cookies are spectacular, the dough is specifically formulated to hold intricate shapes even after baking. 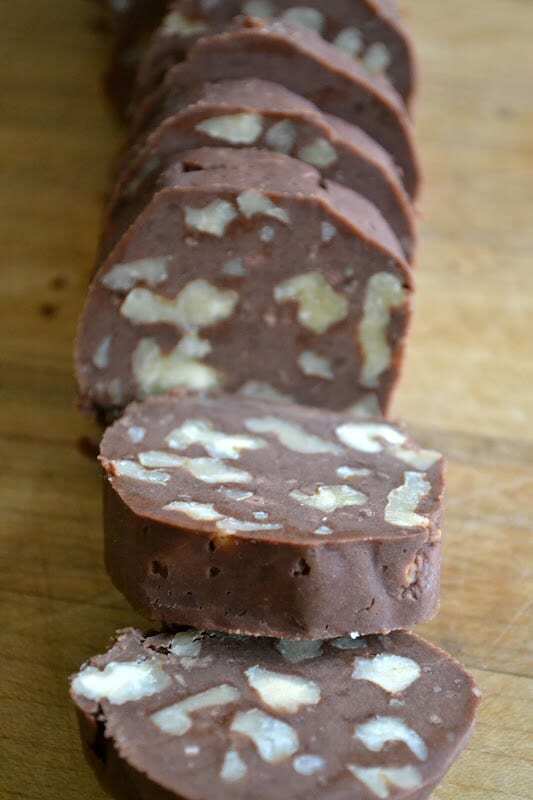 Chocolate Walnut Slice and Bake Shortbread Cookies can be frozen unbaked or baked. 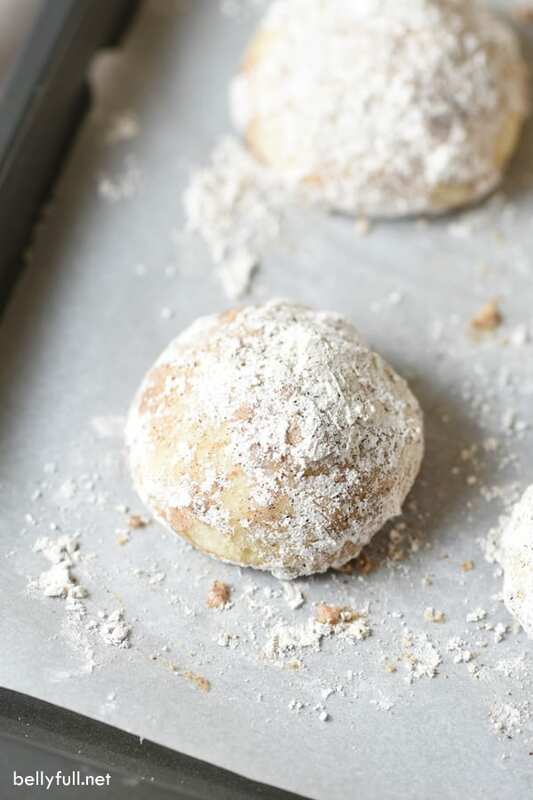 Chai Spiced Snowballs ~ snowballs are classics for a reason, they’re super easy, and everybody loves them! 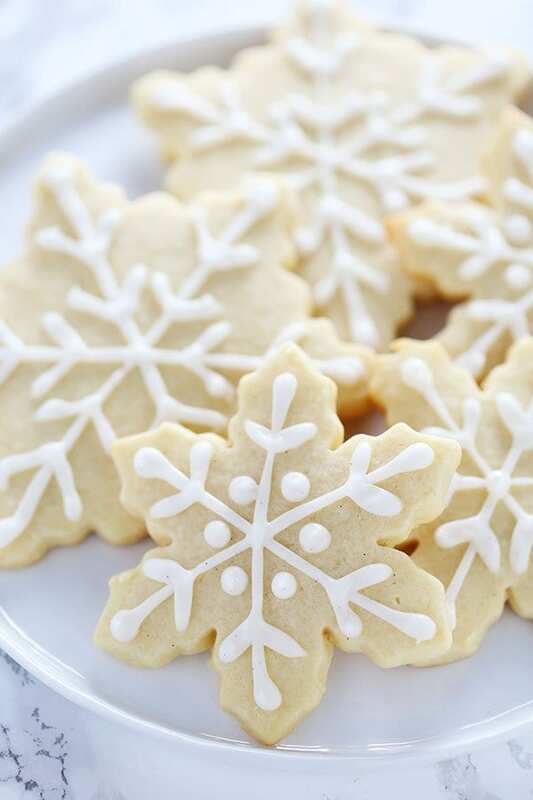 Snowflake Sugar Cookies are so beautiful, make them as intricate or a simple as you like. 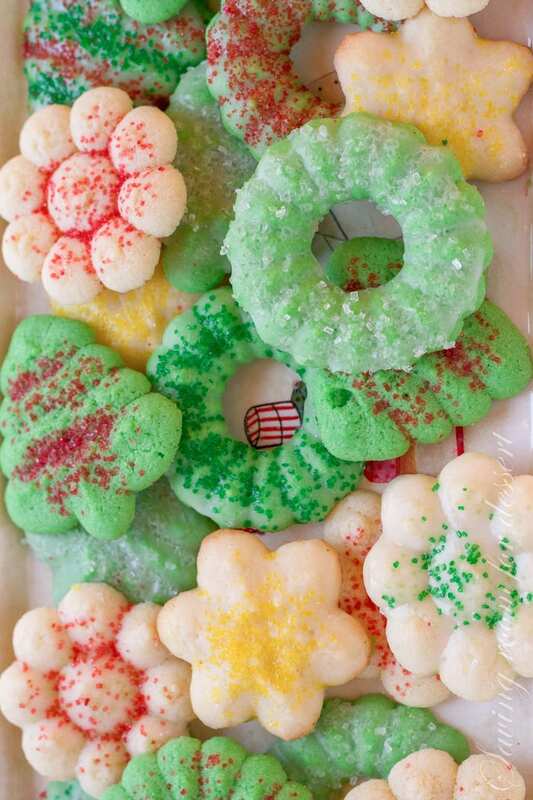 Holiday Ice Box Cookies ~ these colorful cookies are easier than they look! 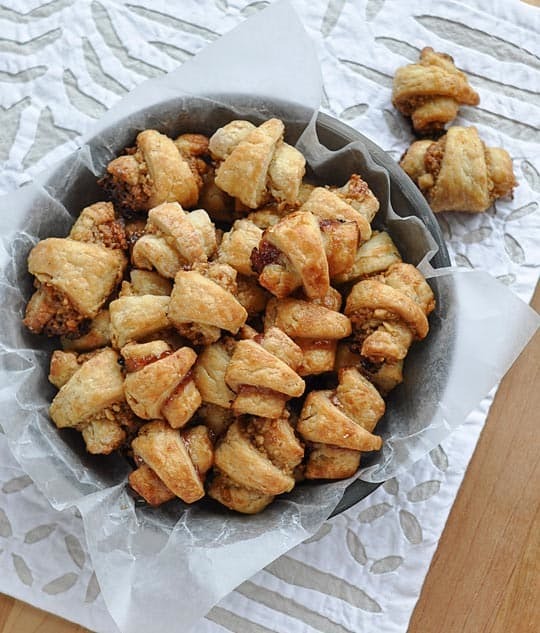 Rugelach cookies are made with a rich cream cheese dough that freezes beautifully. 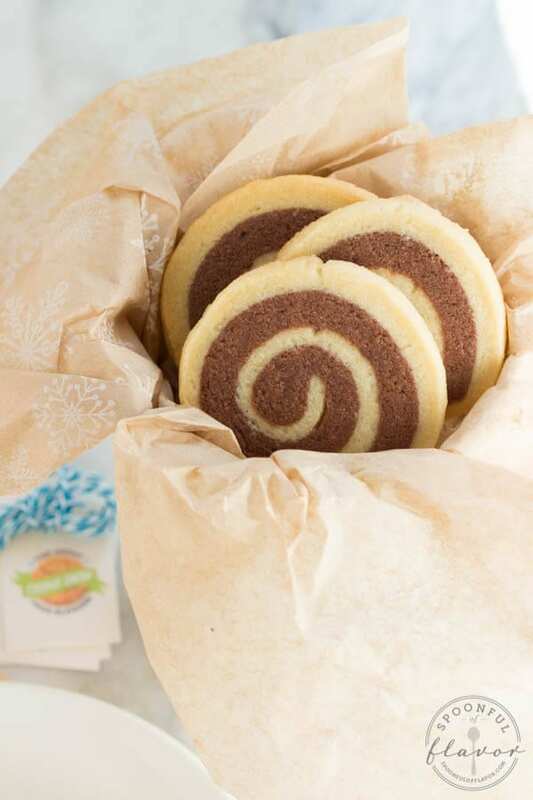 Chocolate and Vanilla Swirl Cookies ~ who can resist? 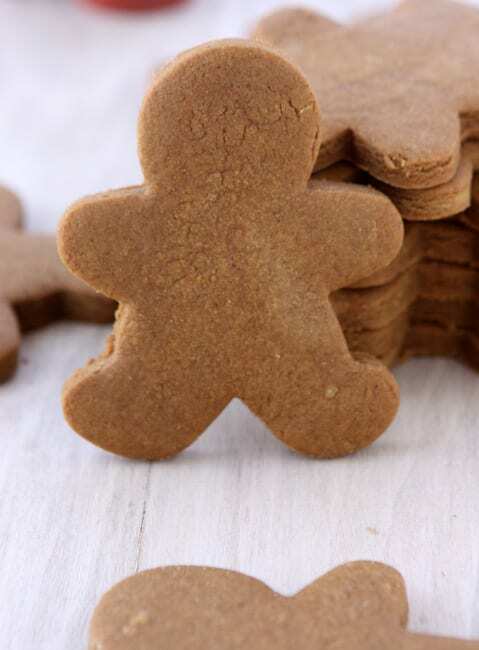 Gingerbread Cookies That Won’t Spread ~ when it comes to cut out cookies, it’s essential that they don’t spread! Gingerbread freezes well, so you can have a stress free decorating party with the defrosted cookies. 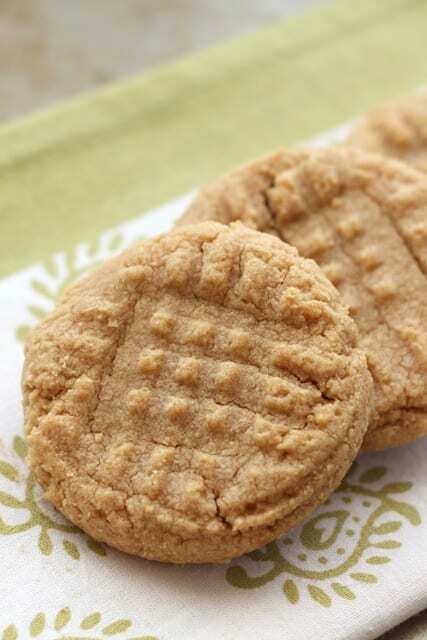 Old Fashioned Peanut Butter Cookies ~ these simple 3 ingredient cookies are naturally gluten free. 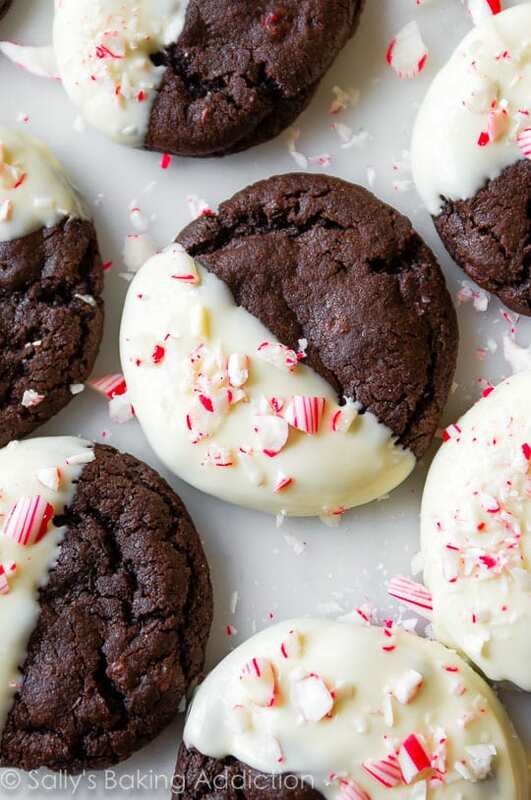 Peppermint Mocha Cookies ~ dip the chocolate and add the peppermint after defrosting these luscious cookies. Amazing roundup! This is such a great resource for holiday entertaining. Thank you for including one from Panning The Globe. The gooey chocolate chip cookies on the first page is what attracted me to your post. Where’s that recipe?? I’m not sure what cookies you mean, Sharon? I agree with you, Sharon. It was the gooey chocolate chip cookies from the first page that attracted me to open up this site. Where is the chocolate chip cookie recipe??? Somewhere along the line I guess someone attached a different photo to this round up post, Carole. That sometimes happens when posts get shared a lot. Sorry to disappoint! 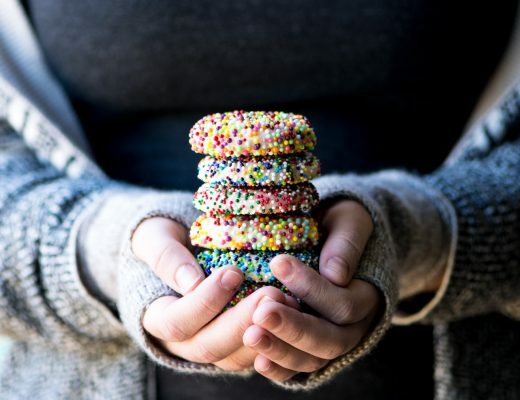 Wow these are all fabulous cookies and very inspiring! love the photos Sue! Thank you so much for including my cookies! This is a fantastic round-up!!! Wow! Great collection! Its a keeper! Thanks a bunch!! Perfect timing with these cookies! 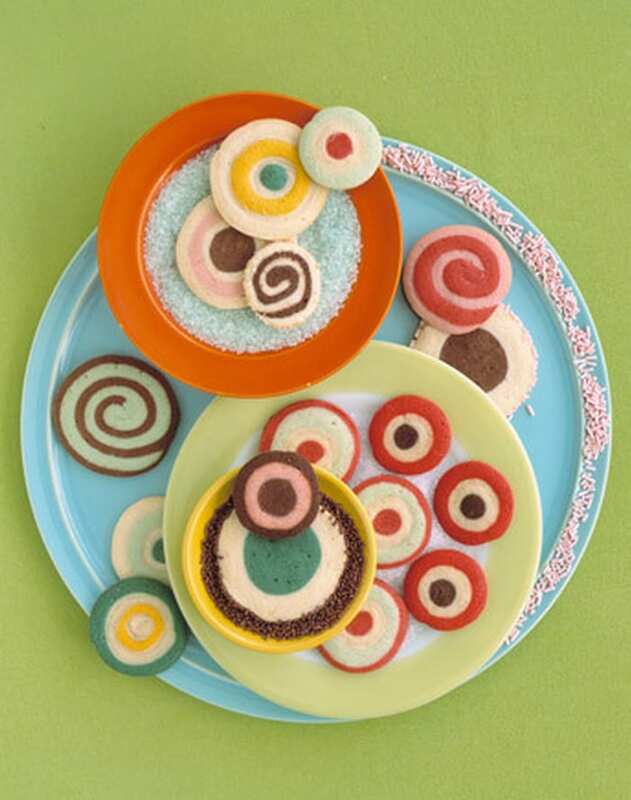 I love the chocolate-vanilla swirl icebox cookies. So artistic and gorgeous! AWESOME roundup. So handy for making holiday magic without burning out! Thanks for this compendium.Pinning for sure..always room for a new fave..I love those molds but I find them quite pricey:( US vs Cdn funds).. Your almond crescent cookies (minus the almond extract) are the first cookies I ever learned to make. Just remembered they were called butter horns. I was also happy to see a recipe for speculaas cookies – my mother always bought those and put them in the toes of our Christmas stockings. I probably wouldn’t make them, but seeing the recipe sure brings back good memories. Thank you so much Sue! 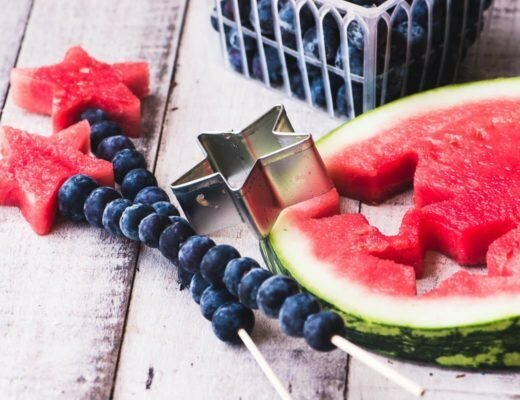 This is a fantastic roundup and I want to make them all! 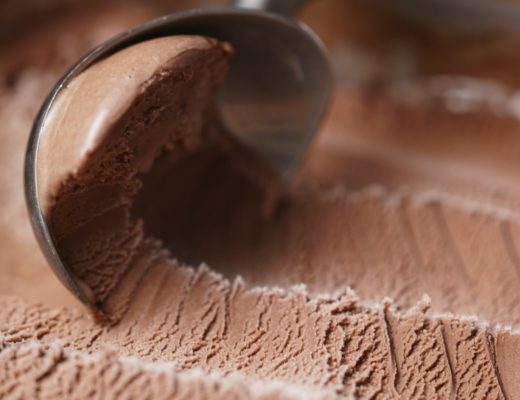 Do you have any idea where to buy affordable speculaas molds? Thanks for including my snowballs! I’ve already started my Christmas baking and need more space in my freezer.